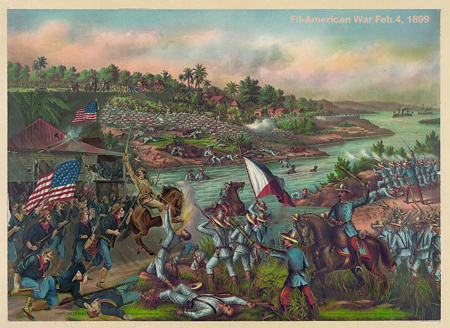 The Philippine–American War, sometimes known as the Philippine War of Independence (1899–1902) was an armed military conflict between the Philippines and the United States, which arose from the struggle of the First Philippine Republic against United States' annexation of the islands. 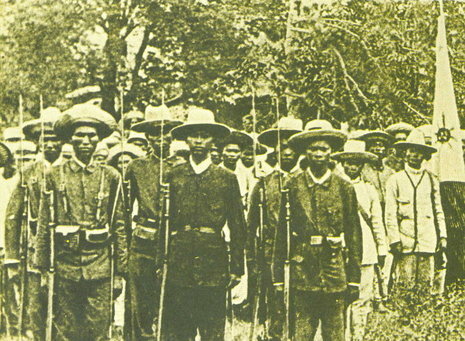 The war was a continuation of the Philippine struggle for independence, following the Philippine Revolution, led by Emilio Aguinaldo and the Spanish-American War. 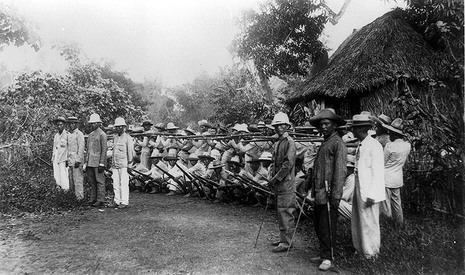 The struggle officially began on June 2, 1899, when the Philippines declared war against the United States and it officially ended on July 4, 1902, after Aguinaldo's surrender. 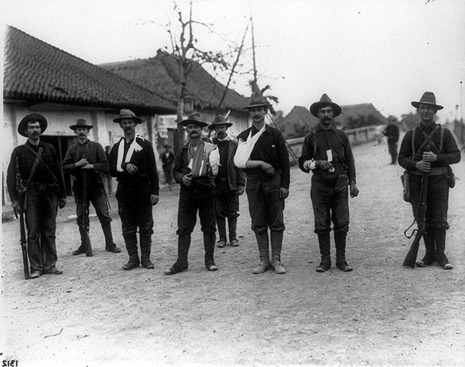 However, remnants of the Katipunan and other resistance groups, such as the Muslims and Pulajanes, continued hostilities until June 15, 1913 (Battle of Bud Bagsak). Opposition to the war inspired Mark Twain to found the Anti-Imperialist League. British poet Rudyard Kipling wrote The White Man's Burden, about colonialism. In its aftermath, the war and United States' occupation would change the cultural landscape of the islands, as the people dealt with an estimated 200,000-1,500,000 casualties, disestablishment of the Catholic Church as the state religion, and the introduction of the English language as the primary language of government and some businesses.